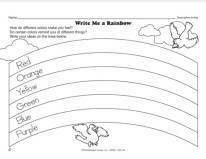 Now that spring is almost here, we should be seeing more rainbows in the sky! That magical combination of sunshine and rain always fills me with awe. Did you know that there are also moonbows, fogbows, and cloudbows? That’s right! When the recipe calls for light and moisture, you can get a colorful arc during the most unique of circumstances. 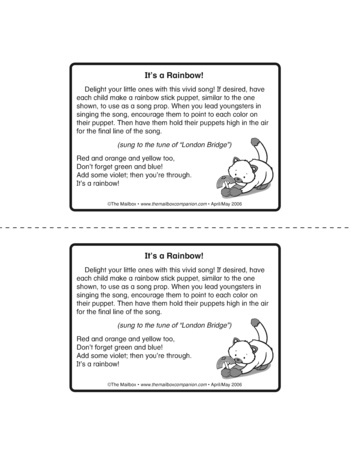 Help students remember the colors in a rainbow with this simple song. 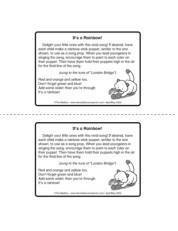 Click here for a color rainbow pattern and here for a black and white pattern to use as references. 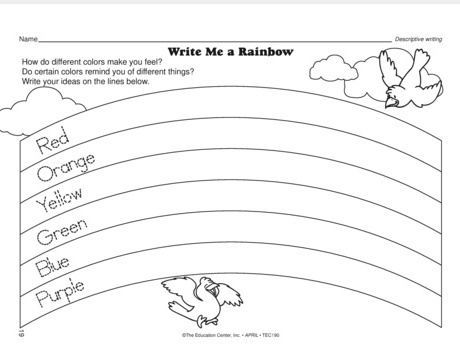 Reinforce color words with this rainbow coloring sheet! Another fun fact about rainbows is that they’re not at all located at a specific distance. If you try to approach a rainbow, it won’t get any closer. And rainbows will always be visible at the angle the raindrops bend the light. So chasing a beautiful and magical rainbow is impossible. Rainbows are also calming and comforting. Artwork in the sky. I’ve been fortunate to see many Rainbows Even saw a double rainbow.. They’re so beautiful!